We are excited to offer a wide variety of classes for our students this fall! Tuition for all art classes is $55 a month. All supplies are provided. 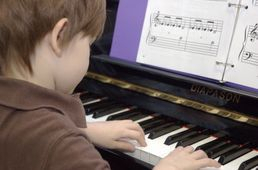 Younger students will be introduced to and explore different techniques, mediums, materials, and a wide range of experiences, resulting in open-ended outcomes. Students will learn to recognize the elements of art including line, shape, color, texture, and value. The activities in this class will help foster a lifelong love of art and the creative process, and will also be lots of FUN! For the older child who is interested in more advanced instruction, students will work with a variety of techniques including drawing, painting, sculpture, and mixed media and will learn about principals of design such as color, shape, line, value, and texture. We'll use a wide range of materials including chalk pastels, oil pastels, charcoal, watercolors, acrylics, and much more.